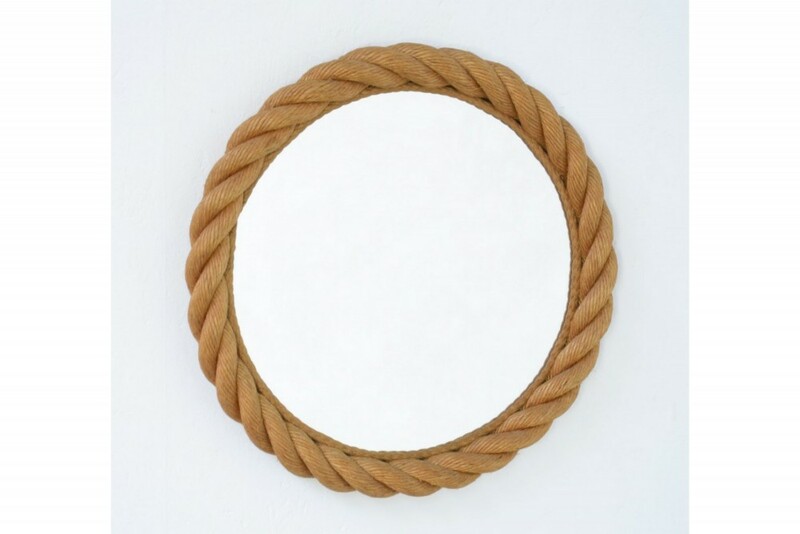 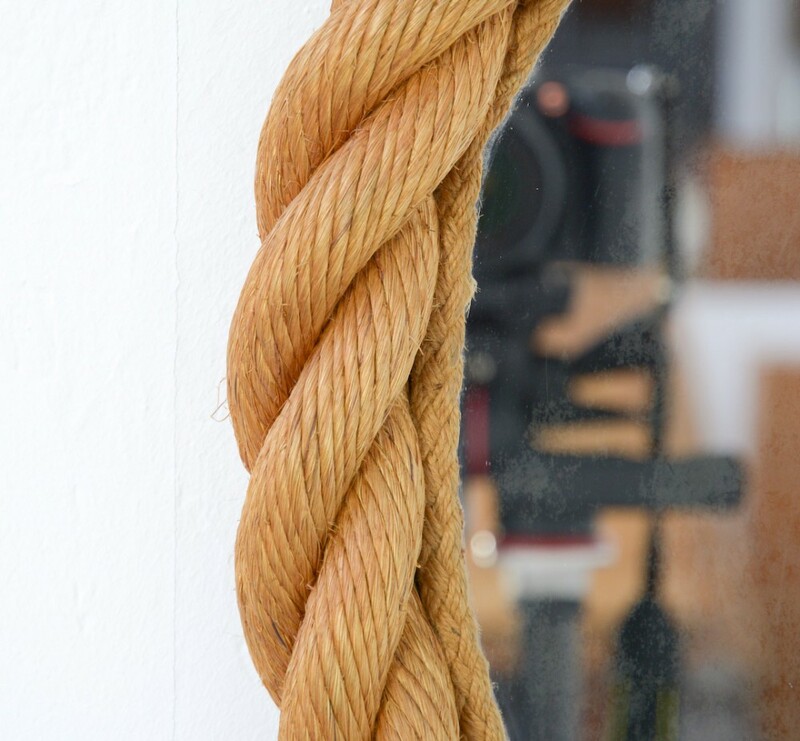 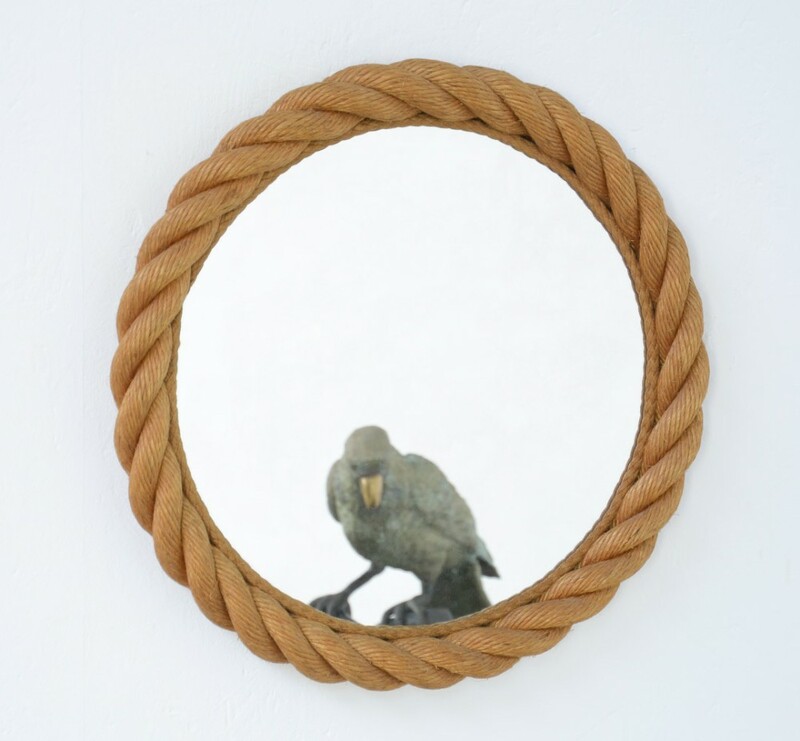 This 1950s rope mirror was designed by Adrien Audoux et Frida Minet in Paris. 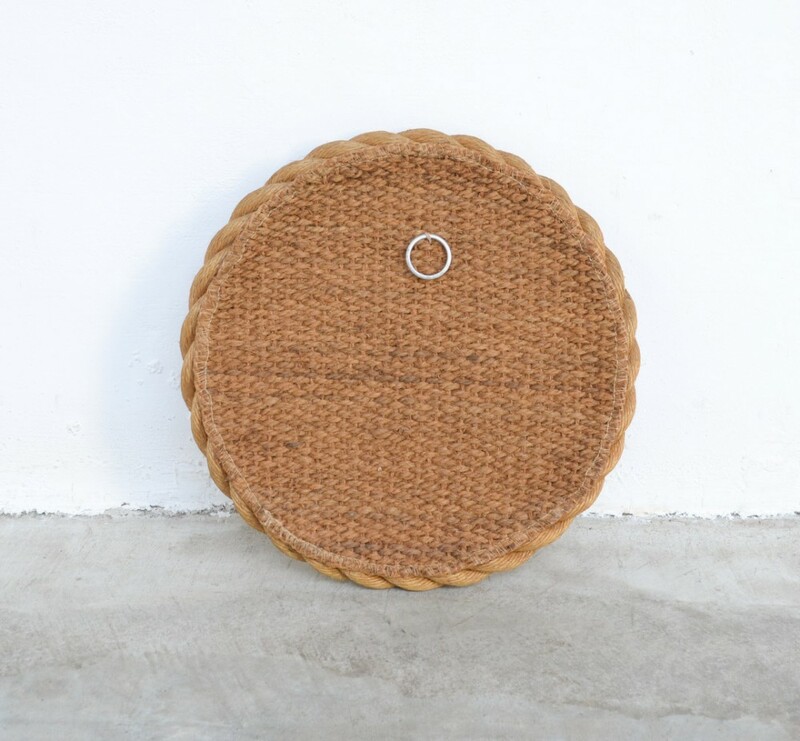 This French couple of modernist designers has been very productive during the 1940s and the 1950s. 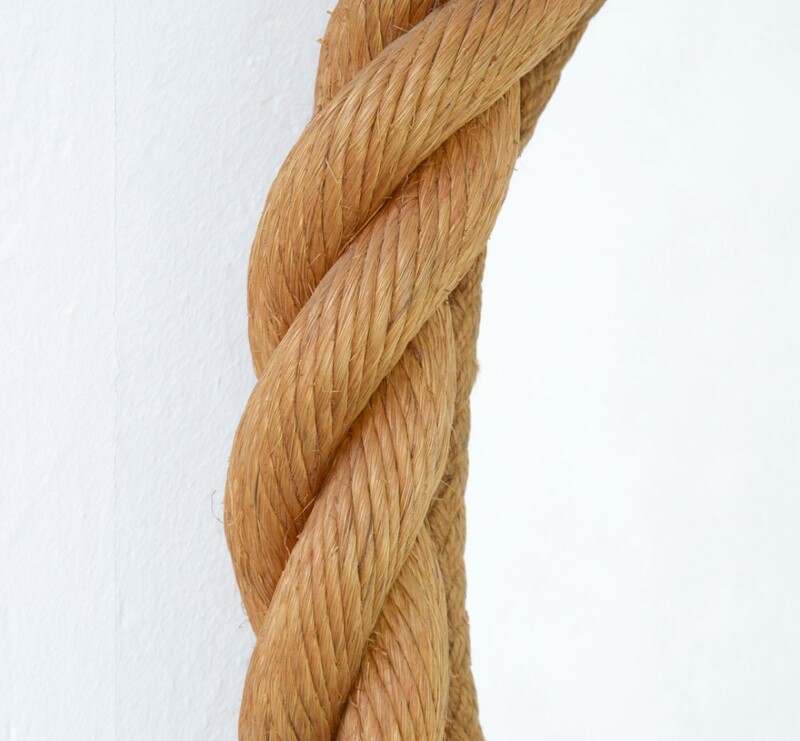 The rope is used as leitmotiv in their design. 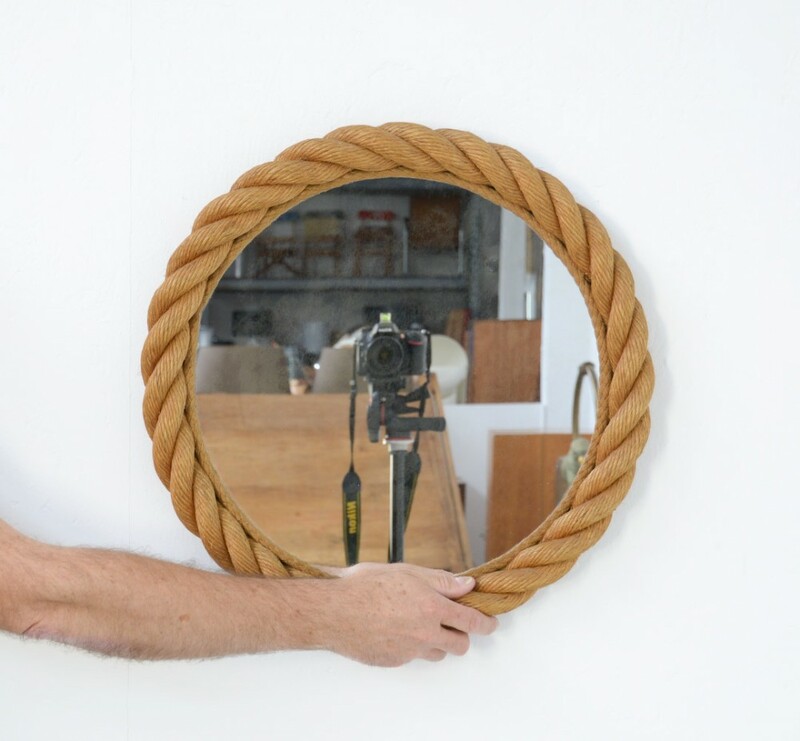 This beautiful and decorative piece is in good vintage condition, the old mirror glass has normal signs of age.